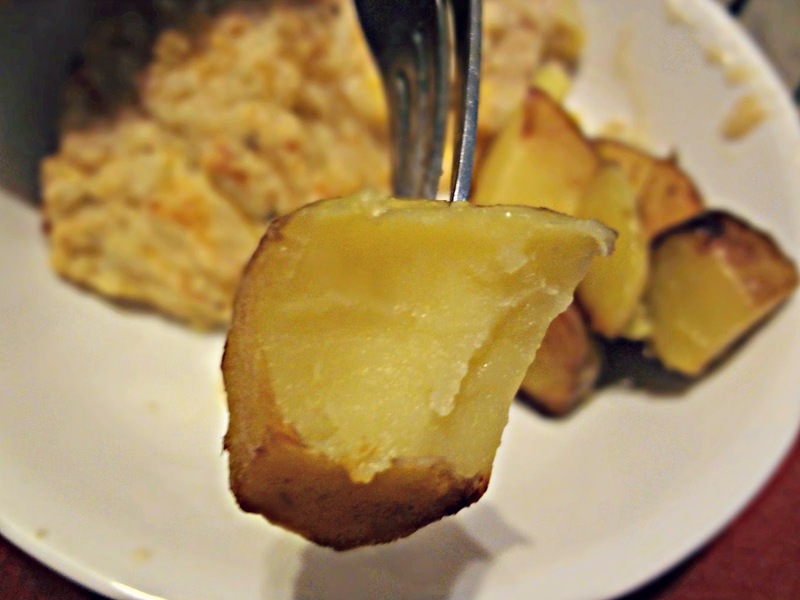 Don't let the ugly photos fool you-this is one of my favorite potato recipes. So simple. So quick. So easy. SO DELICIOUS! These potatoes are super soft and buttery tasting on the inside, and delightfully crisp on the outside. I make these all the time. Get your side dish on! Toss potatoes with 1 tbsp. oil and some salt in a microwave safe bowl. Microwave on high, uncovered, 10 minutes, gently stirring 2-3 times during that time. You'll want them softened but still holding their shape. Once done, drain thoroughly. Heat 2 tbsp. oil in a 12 in. skillet over medium-high heat. 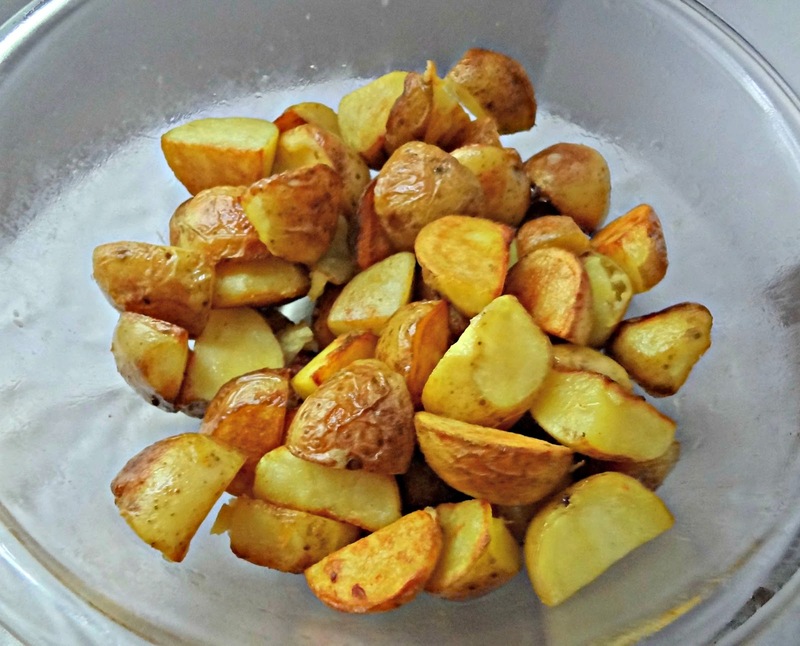 Add potatoes in a single layer and cook until golden brown, 5-7 minutes. Gently stir the potatoes and rearrange into a single layer again, trying to evenly brown the potatoes. Cook on this second side an additional 5-7 minutes, or until it seems all the potatoes are browned but not burnt. Season with salt & pepper, if desired, and serve.